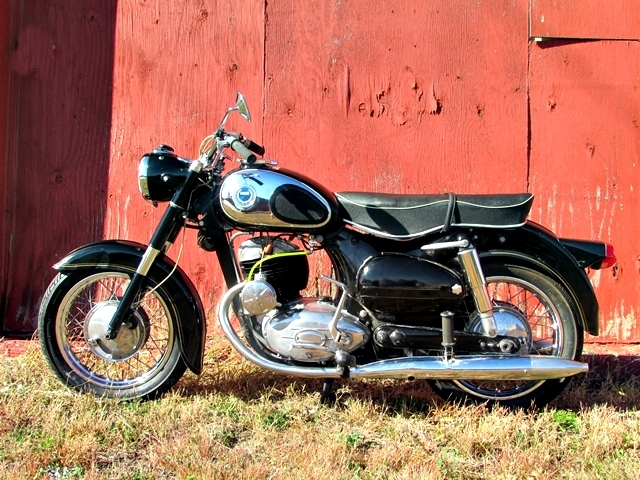 By far the most gorgeous all original and one-owner Sears Allstate/Puch Twingle motorcycle that we have ever seen! 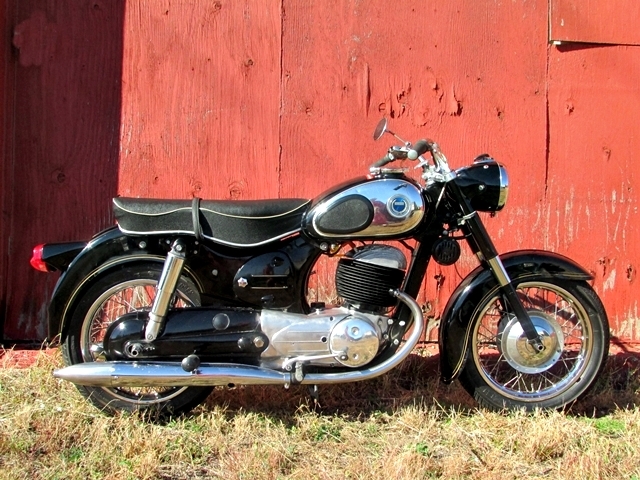 This vintage 2 stroke 250cc street bike was manufactured by Austrian manufacturer Puch and sold by Sears, Roebuck and Co. back in the 60’s. The Twingle engine was very unique in that it used 2 pistons on a single crankshaft and shared a single but double sleeved cylinder (hence the term Twin-gle). With only 3000 miles on it and stored for years in an airport hanger, it is still in prime mechanical and cosmetic condition. It starts first or second kick and will get up to highway speed very quickly while running amazingly strong and smooth. This motorcycle is being sold as a used motorcycle, but we will do a full servicing, tune-up and detailing on it first. New tires were installed 3 years ago, but I doubt there is even 100 miles on them. There are a few odds and end trim pieces like rubber footrests and grips that we will replace with reproduction parts but otherwise everything will stay original. If you ever wanted a unique vintage 2 stroke bike to ride or to fully restore, this is your bike! Not only is this Puch original and complete, it also comes with all the original sales information, salesman’s business card, paperwork, tools and more! The back story to this bike is what separates this one from any other motorcycle that we have ever sold. This classic motorcycle was purchased and owned by a remarkable and determined woman who bought it back in 1966 when she was in her 40’s . Back then, you rarely saw women buying and riding motorcycles, especially of this size. She had always wanted a motorcycle and decided life was too short to wait. She carefully rode her motorcycle over the next 40 years…until she was in her 80’s! She only stopped riding because as she said, “It just has too much KICK’.